Prior to Lana establishing Alliance Financial and Income Tax with her husband Mike, Lana was a school teacher. 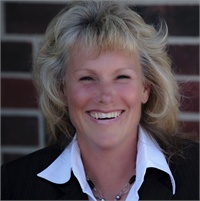 She earned her Bachelor of Science degree in Physical Education in 1988 from Central Missouri State University. For the first eight years of the company Lana was the Senior Loan officer for the company’s residential and commercial mortgage department. In 2008 when the company chose to close the mortgage division and focus on its core services of Financial, Accounting and Income Tax services Lana assumed her current role. As the Director of Client Relations she has a proactive role in insuring that client’s needs and expectations are being met. She is also responsible in establishing new client relations as the company continues to grow.